The brilliant minds at Thanko who gave us the Chin rest arm, USB neck tie cooler, USB helmet, USB vacuum mouse, etc, have now come with something that is remotely practical. 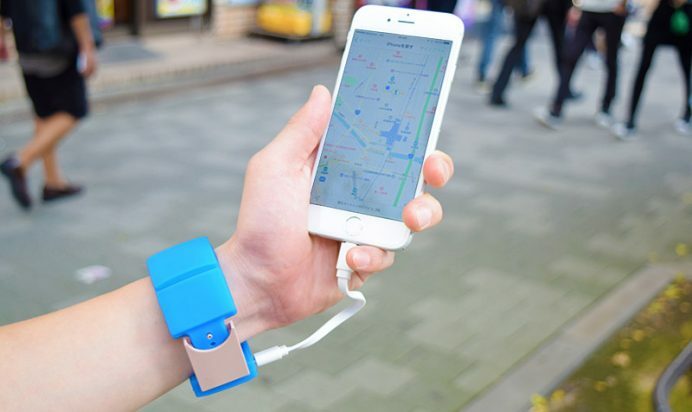 A wristband battery pack, lets admit it using the phone when connected to one of those bulky lithium filled metal boxes is a pain. And to top it up this battery pack tells you the time as well. 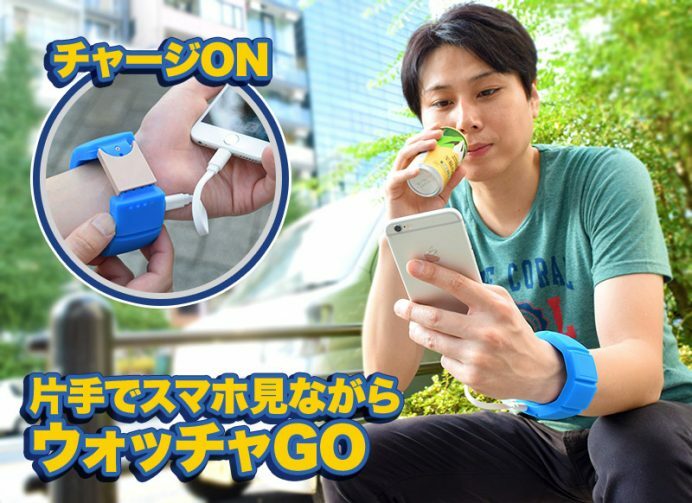 Somewhat ideal for the Pokemon hunters who always run out of juice in their conquests. 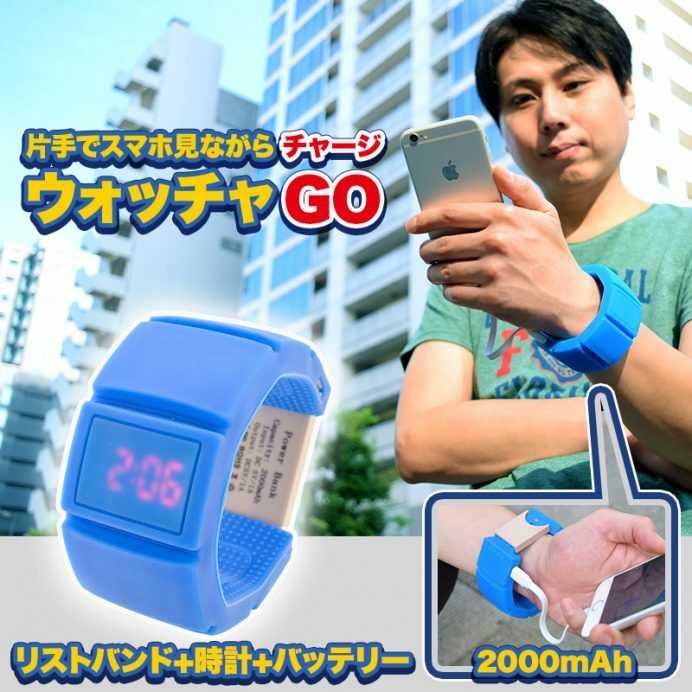 Dont expect wonders from the arm band as it packs in a battery of 2,000 mAh enough to power a dead iPhone to 60% capacity. 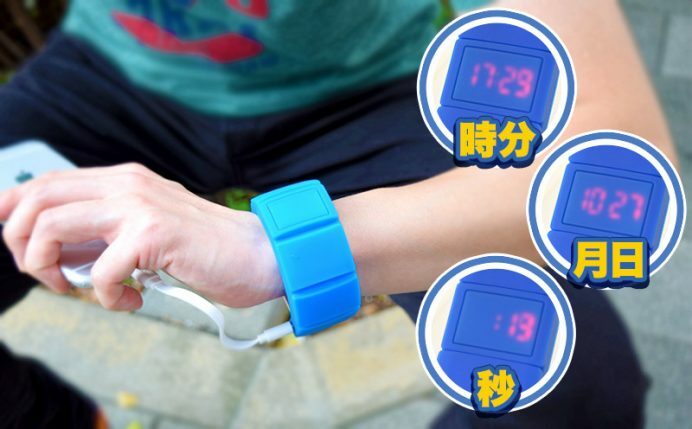 Weighing in at 84 grams the ‘Watcher Go’ is available in Japan for 2,980 Yen ($ 25). If this did not convince you here are some images which will show what a life changer this battery pack can be.